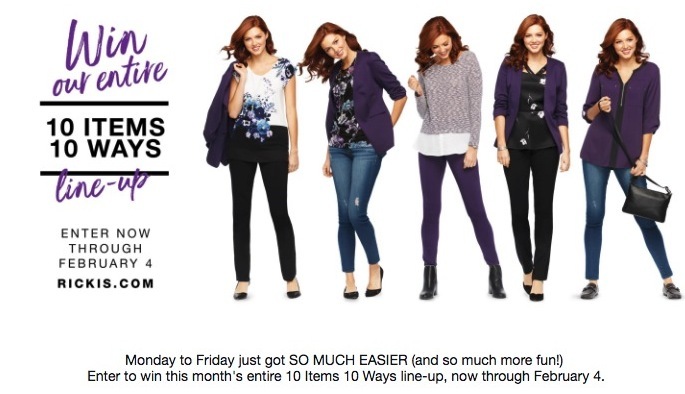 Enter now the Ricki’s “10 Items 10 Ways Giveaway” contest, in it, you get the chance to win up to $600 in Ricki’s gift cards. This contest is open to al legal residents of Canada, with the exception of Quebec, who are 18 years of age or older. To submit your entry into the prize draw you need to visit the official Ricki’s 10 Itemps 10 Ways Giveaway contest web page, then you must fully complete the online entry form including your full name, email, your city and province. This contest will end on February 4 2019. Winners to be selected in a random draw among all the eligible entries. There will be one individual prize awarded. The maximum value of the prize is CDN$600.00. The prize will be awarded as Ricki’s gift cards loaded with the prize value. The “10 Items 10 Ways Giveaway” Contest will run from January 17, 2019 to February 4, 2019. One entry will be selected via random draw within two business days of the Promotion Period close. The Contest Winner will be notified by e-mail using the contact information provided.